I'm impressed every single week with Jana's look. And this week we have McKenzie co-hosting, finally, because she joins us every week and knocks it out of the park! Confession, I don't own ruffles. Nor will I ever buy ruffles. The closest I have come to owning anything "ruffly" is buying a tulle skirt because they look adorable floating all over Pinterest and my Instagram feed. But then I come back to reality and remind myself they look good on other people and I would never wear it with confidence out of the house. 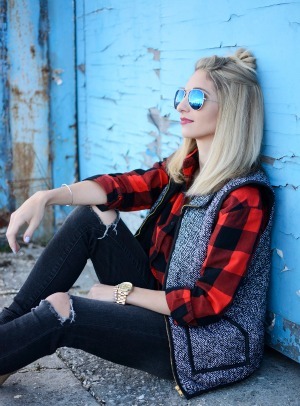 So I resorted to my favorite new fur vest from Target that I can't get enough of (you may have seen it here.) It resembles ruffles in a way, right? It also adds a touch of volume without getting too crazy or bulky. As for the real volume I used a large barrel curler to get some volume in my hair. I truly love this outfit because it's comfortable, but still has a polished look. Leggings are so versatile these days. I used to think they were just for being lazy around the house, but add a cute top, boots and throw on some make-up and you're good to go! If you join in with us (#happydance) we would love it if you would share the button below in your post or on your blog sidebar. Thank you in advance! 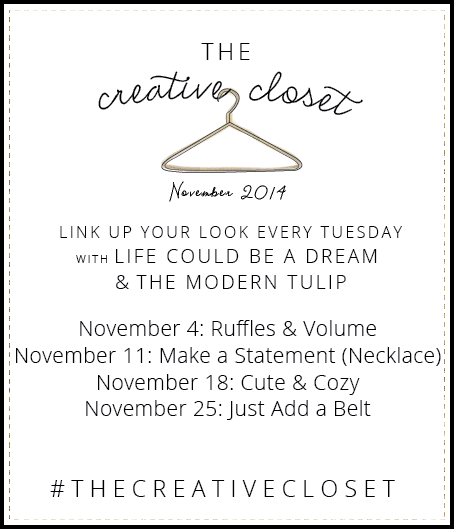 11 comments on "The Creative Closet || Ruffles & Volume"
LOVE your outfit! :) And that bump! Swoon! Loving that fur vest girl! You look amazing! This might be my favorite Creative Closet look yet! Love everything about it! I love your look! That's definitely not what I thought you'd wear for "ruffles and volume" but it works so well! This is adorable!! 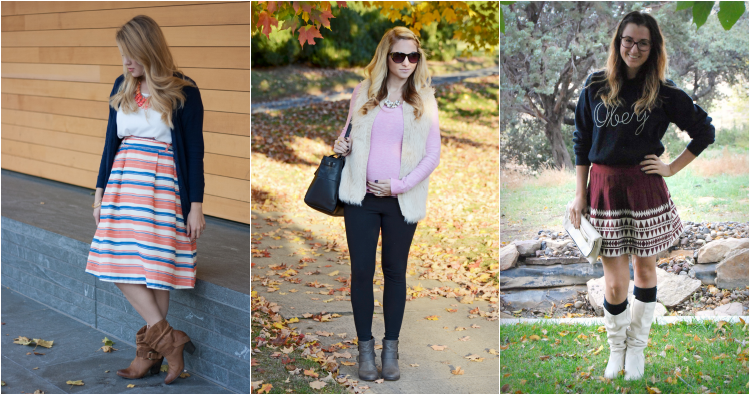 (And not just because of your darling bump) ;) I'm with you on the ruffles/volume thing. But I love the vest and that you added volume with your hair!! Leggings are critical. So comfortable and yes so cute with the right stuff! Man, I hope I rock pregnancy as well as you do when the time comes! You look so adorable! !